Cute? Surprising? Unique! 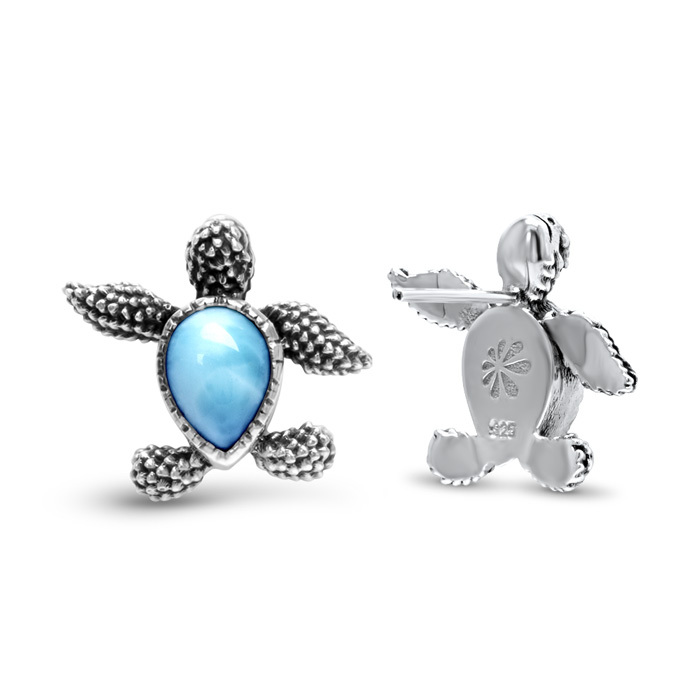 Our Turtle earrings will get people talking! Oxidized sterling silver creates the texture of these tender beings, with glorious larimar gemstone filling in their back shell. Are they moving? Any time you are! Product Details: Two 7x9mm larimar gemstones and sterling silver.